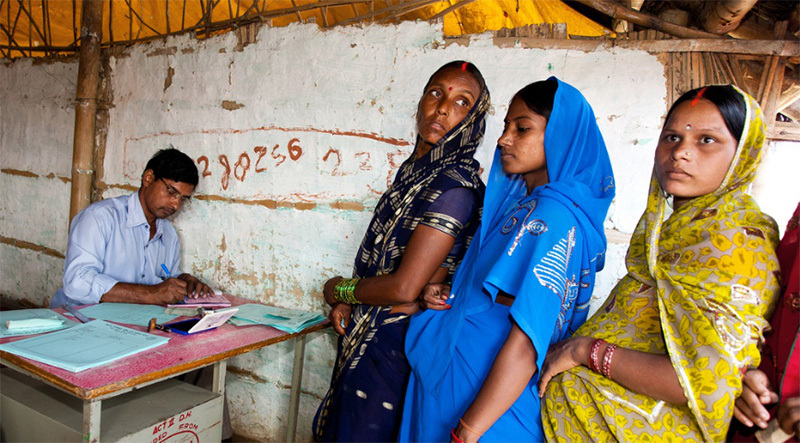 In a unique journey across India, Q3 helped the client in developing a unique Demographic Surveillance System to support population based research activities to identify roadmaps for convergence between health and non-health sectors. The client is an international trust operational in India since 2005. It has a unique network of healthcare professionals from multiple disciplines committed to identify best practices that will improve health-for-all in local, national, regional, and global settings. 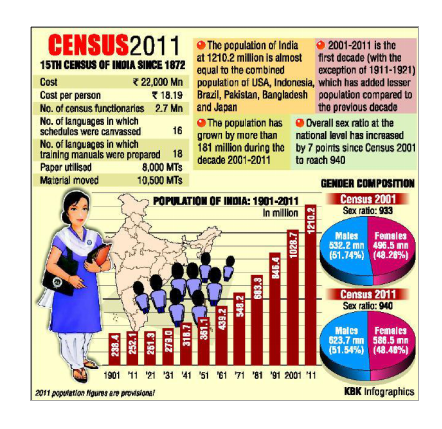 Systematic collection, evaluation, processing and publishing of census data helps countries like India focus on the areas of the population that need attention. The rural and urban areas alike are regularly surveyed for population count and for updates can be used by the government and health regulatory bodies. The client realized that the traditional methods of research and data storage that were employed globally could handle only one project at a time and required third party software to integrate and archive data from different projects, which consumed a lot of time and required investment on manpower for cleaning, validating, printing, and sorting the data. Generations of relevant reports and tracking the location of the field staff was also a challenging task. To overcome these problems, the client wanted to transform the traditional method of research and data storage practice to digital and integrated data storage. Contemporary research activities require a secure and robust mode of operation. The client, therefore wanted an application that could integrate data from different sectors and aspects of environment, development, life style, and demographics in the same system and enable the user of the application to design any kind of report on his own without depending on the developer for creating and saving new report formats. The client wanted that the application should reduce the massive workload of data collection and data archiving. Huge investments on the resources for research activities such as, data entry operators, supervisors for checking, data analysis, and computers also needed to be cut down. To meet all the client requirements, our experts conducted extensive research and used android and PHP technologies to develop an application that includes all the features in a single unit and provides a highly secure and robust mode of operation. Our experts linked the data of various projects and from different sectors to core variables through unique ids and maintained in the same application. 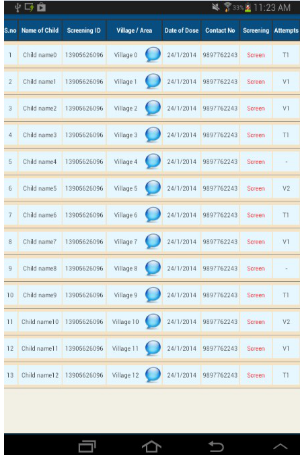 Data collection in areas with low/no internet connection: The application is made to run on the android app for data entry in remote locations where the internet access is sparsely present. The mobile component used by the surveyors can be operated after uploading selected data about the region and can also be operated in the field without internet connection. Double Data Entry system: Q3 developed a double data entry system which is one of a kind in the world and is used by the client to cross verify and validate data. Paper-free, layered collection of data: The application is made paper free by collecting the data on android tablets and synchronizing to the main server through Wi-Fi. The information collected in different rounds can be updated and new information received is maintained in a new layer on the top of the whole information. Inter-relations and Family trees: The data collected can be seen in the family tree pattern allowing the client to understand the genetic linkages and their association with the various influencing factors. The application allows clean data entries and the merging of datasets from the various projects. GPS tracking of staff: The tracking of field staff is monitored using the GPS technology. 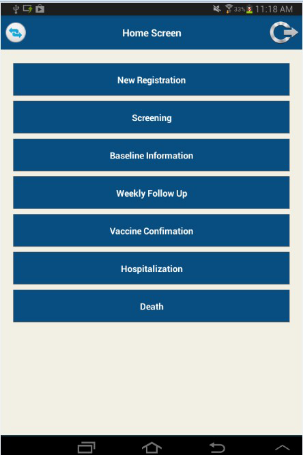 The activities can be supervised in real time because of the application functionality of rapid assessment of quality of data. And the application supports both the online and offline mode of operations due to the limited internet connectivity and transportation facility. The application is made available on the public portals to be used by surveillance systems and research organizations across the world. 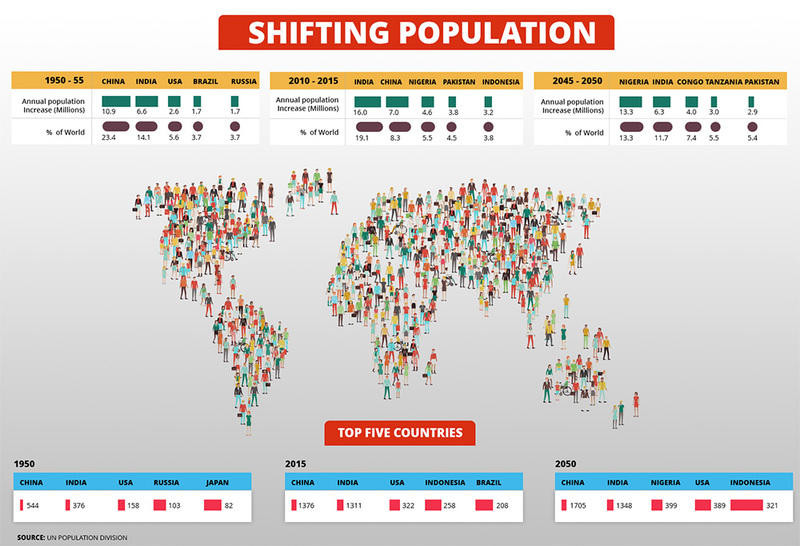 This will not only update the demographic changes of population but also manage the changes in their physical structures. The complete digitization of research data helps the research communities to find the reliable and immediate solution to the health problems. The application reduced huge investments on the resources for research activities such as, data entry operators, supervisors for checking, data analysis, computers and funders for low cost research operations with high quality standards. Including all the features in a single unit has provided a highly secure and robust mode of operation.